UNITY is a multi-tap 2 transistor fuzz pedal fused with a compression section allowing maximum fuzztone flexibility and feel. 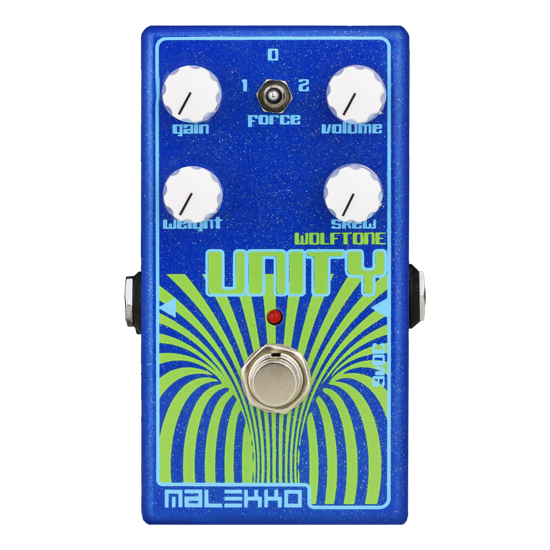 From over-the-top fuzz mayhem to super buttery fuzz smoothness, the UNITY, like all WOLFTONE pedals, is extremely musical and very responsive to a player’s dynamics. Read more below! 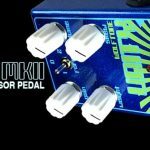 UNITY MKII is a multi-tap 2 transistor fuzz pedal fused with a compression section allowing maximum fuzztone flexibility and feel. From over-the-top fuzz mayhem to super buttery fuzz smoothness, the UNITY, like all WOLFTONE pedals, is extremely musical and very responsive to a player’s dynamics. 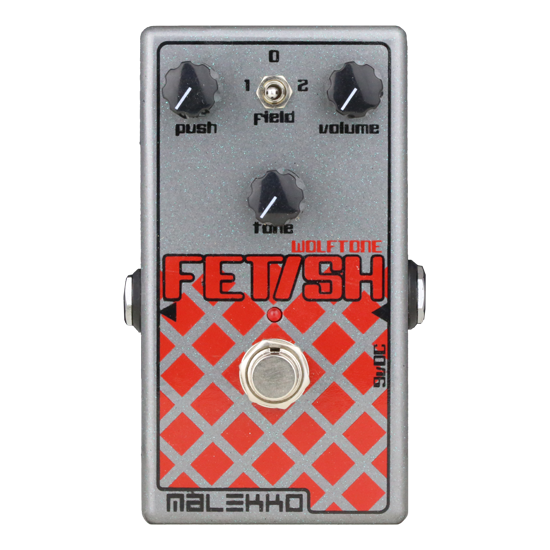 The three controls, WEIGHT, GAIN, and SKEW, each create a certain kind of gain and distortion. They tap into the circuit at different places, therefore they have different characteristics in the way they respond to the player and what they do to the timbre and overall signal. 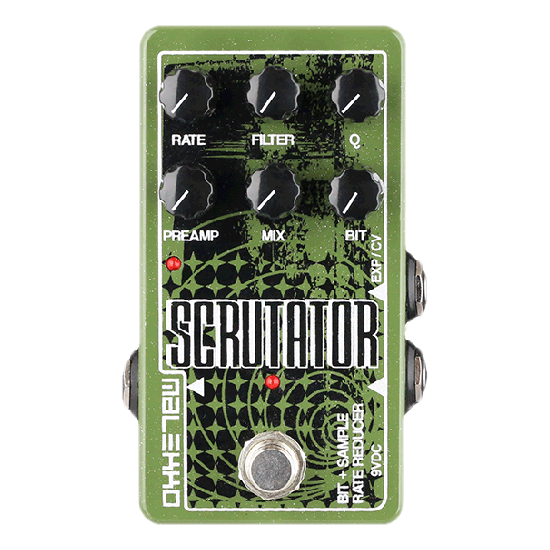 Add the compression’s FORCE SWITCH and you have an extremely flexible and reactive fuzz pedal: from sweet to discordant! WEIGHT is both the initial drive setting as well as the primary compression setting, reacting to the FORCE SWITCH setting. 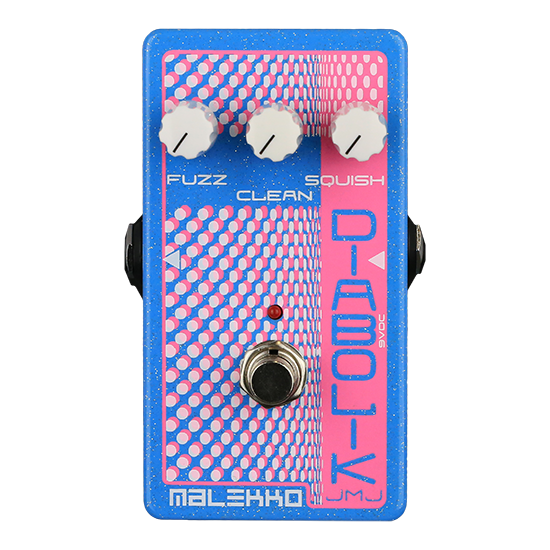 GAIN sets distortion amount. Low setting is dark and crunchy, becoming much brighter and searing. SKEW affects both effect saturation and tone; from warmer at low settings to edgier and grittier when cranked up. FORCE SWITCH changes compression value. 0 is min, 1 is high, 2 is max. 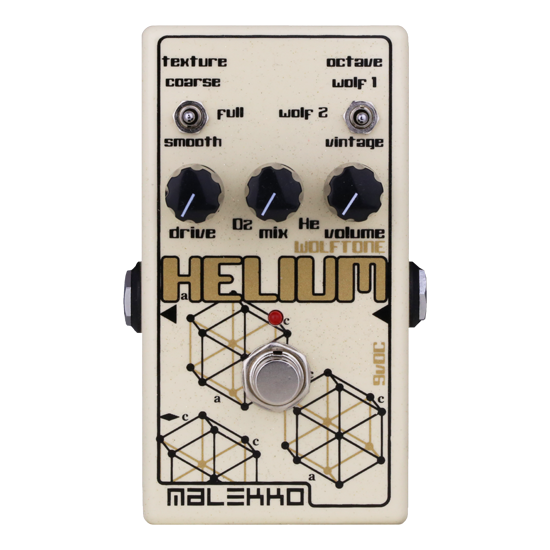 The compression effect is fully dependent on all three knobs but is primarily based on the WEIGHT knob setting. A gating effect occurs when WEIGHT is set low, GAIN and SKEW set high. Slow attack swells happen when WEIGHT is high, GAIN and SKEW set low. The UNITY is one with bass guitar! Sounds huge! The interplay of the controls creates many surprising results in this extraordinary WOLFTONE design by Todd Wolfgram!